IRVINE, CA – March 11, 2013 – (RealEstateRama) — Award-winning KTGY Group, Inc., Architecture and Planning, is pleased to announce that AMLI Residential has received City approval for AMLI Uptown Orange, a 334-unit eco-friendly apartment community located in the City of Orange, Calif. The 5.6-acre urban infill project will be built on the site of an existing DoubleTree Hotel parking lot and will include the construction of two new parking structures, one for the DoubleTree Hotel and one for the apartment community’s residents and guests. KTGY is the project’s designer and architect. “Uptown Orange is the name that the city originally established for the area and our project builds on that brand name and seeks to create a stronger identity to the area,” said Sevy. AMLI Uptown Orange is located directly south of the DoubleTree Hotel, on The City Drive South, near UCI Medical Center and The Outlets at Orange, formerly known as The Block at Orange. The commercial area surrounding AMLI Uptown Orange features a more modern, bold look. AMLI Uptown Orange’s architecture will follow along these lines, blending contemporary architecture with classic, clean lines. The project will be built in phases to ensure that parking for the hotel is always available. First, will be the 494-space parking structure for the existing DoubleTree Hotel, followed by the building of the AMLI Uptown Orange apartments with its own 608-space parking garage. Designed to achieve LEED Silver certification, the four-story apartment community will contain leasing offices, a fitness center, a club room lounge, a business center, a pool and outdoor lounge areas. The apartment homes orient onto two beautifully landscaped courtyards and the perimeter public street in order to maximize visibility of the common open space. Located within the mixed-use neighborhood of the Uptown Orange district, this exciting project supports surrounding urban, high-intensity, regionally oriented activity centers, and provides for integrated commercial, retail, professional office, residential, and civic uses. “We are looking forward to breaking ground on this exciting community,” said Jason Armison, AMLI Senior Vice President. “This is an outstanding location, and we believe our new apartments will add a great rental home opportunity to the Uptown Orange District in the City of Orange.” AMLI Uptown Orange is expected to break ground this year. AMLI Residential is focused on the development, construction and management of luxury apartment communities throughout the U.S. Founded in 1980, AMLI is owned by Prime Property Fund, a core, comingled real estate fund. AMLI currently owns and/or manages 54 apartment communities, including over 18,000 apartment homes, and has almost 6,000 additional apartments under development in 17 locations. AMLI owns and/or manages five apartment communities in Southern California containing over 1,700 apartment homes, and has two additional communities under development. More information is available at www.amli.com. 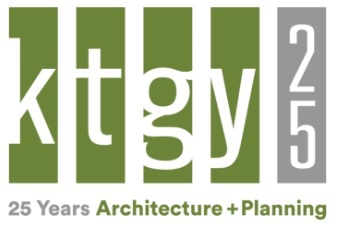 Celebrating 21 years in business, KTGY Group, Inc., Architecture and Planning, is a national award-winning firm providing comprehensive planning and award-winning architectural design services for residential communities, retail, hospitality, mixed-use and related specialty developments. KTGY delivers innovative solutions that reflect clear understanding of development, market trends and financial performance. Serving clients worldwide, KTGY maintains offices in Irvine, Oakland and Santa Monica, Calif., Denver, Colo., and Tysons Corner, Va. See www.KTGY.com.